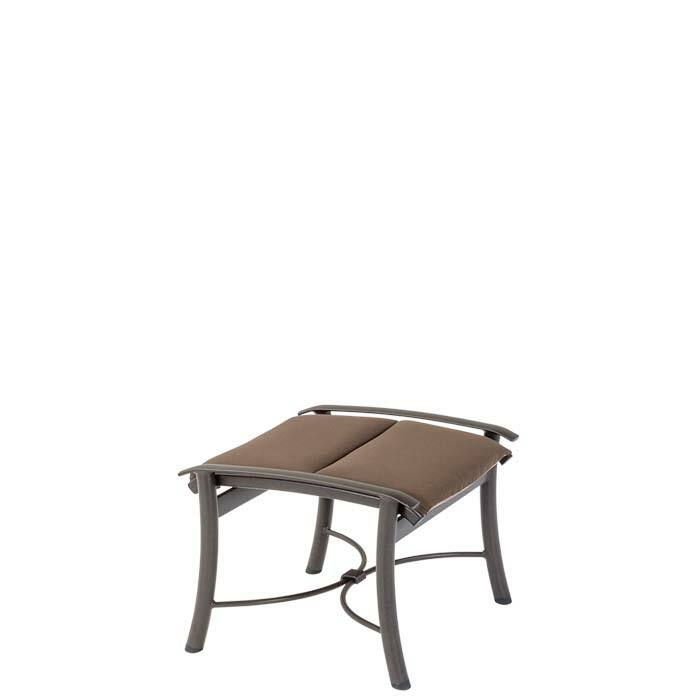 The Montreux Padded Sling Ottoman is a perfect interplay of extruded aluminum seamlessly blended with cast aluminum details and features lush sling fabric strung taut. The result is a durable, easy-to-maintain ottoman. Get the most from outdoor patio furniture by pairing the Montreux Padded Sling Ottoman with the Tropitone® Montreux Padded Sling Recliner under a Basta Sole® Umbrella.